Prazosin is a high blood pressure medication that comes in 1 mg, 2 mg and 5 mg capsules. Adults can take Prazosin by mouth, in 1 mg dosage, up to 3 times daily. Prazosin is also used to treat benign prostatic hyperplasia, post-traumatic stress disorder, Raynaud’s syndrome and Alzheimer’s disease. Prazosin has shown promise in helping with Alzheimer’s-related aggressive agitation. 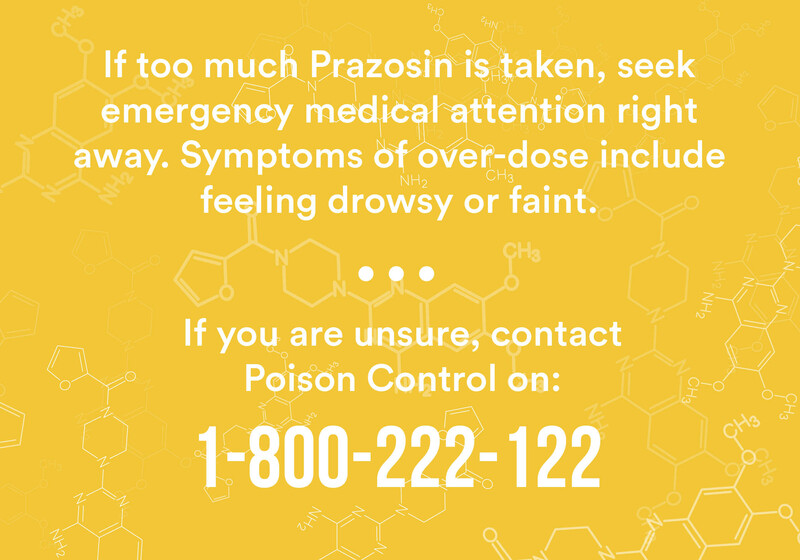 Side effects of Prazosin include reactions of central nervous system, respiratory system, cardiovascular system, etc. It is important that the patient’s healthcare provider is aware of all of the meds that are being taken as some medications can interact with Prazosin. Older adults require a lower dose because Prazosin may cause significant hypotension. A person taking Prazosin should change positions slowly if he or she experiences dizziness. If this does not work, the healthcare provider should be notified immediately. Prazosin is a medication that is used to treat high blood pressure. Prazosin is classified as an antihypertensive, and it can be given alone or in combination with other medications. Prazosin lowers a person’s blood pressure and decreases the risk of cardiovascular events such as heart attack or stroke. This article covers Prazosin, how it is used, the conditions it is used to treat, and the side effects a person taking this medication may experience. As this article is only meant to provide the reader with general knowledge about the medication and its most common uses, there may well be various other conditions for which Prazosin is prescribed that are not covered in this article. The medication comes in 1 mg, 2 mg and 5 mg capsules, and the capsules may be white, pink and white or blue and white, depending on the manufacturer. To ensure that you are using the right medication and dosage, it is always best to check with your pharmacy as they may have changed manufacturers. If you are wondering if you should take the generic or brand name product, please continue reading. When a generic product is approved by the Food and Drug Administration (FDA), it means that the drug has met the standards of strength, quality, purity and potency, as set by the FDA. Generic drugs are required to have the same active ingredient, strength, dosage form, and administration route as brand name medications. Generic drug manufacturers are required to pass the same quality standards as brand name drug manufacturers, and research has shown that generic drugs work just as well their brand name medications. The one big difference between brand name and generic drugs is price, with generic drugs on average costing 80 to 85 percent less than the brand name product. Adults can take this medication by mouth, usually in 1 mg dosage, up to 3 times daily. It is recommended that the first dose of the medication be taken at bedtime. This medication may also be used in children for the treatment of hypertension, and the dose is individualized based on the weight of the child. Wendy: No medicine could lower my blood pressure from approximately 145/ 90, though Prazosin did it. Now my blood pressure is normal with a systolic pressure of 125 or less, and diastolic pressure of 65 or less. This is absolutely fantastic, and I still can’t believe it despite taking measurements regularly. I have side effects occasionally, like light headedness, and I may at times be a little weak or a little shaky. Note I only take a half tablet in the morning and a half tablet at night before I go to bed. Also, when the doctor prescribed Prazosin for me, I was taking two other blood pressure medications. After some adjustments made by my physician, I am now only taking Prazosin. My blood pressure is normal, and once I lost weight and stopped smoking, I started to feel fantastic. I continue to go to my scheduled appointments and get checked by my doctor, and I seem to be doing great. I would highly recommend Prazosin for blood pressure control, subject to your doctor agreeing and prescribing it for you. For me, it’s been an effective medication with very few side effects. Men suffering with enlarged prostates are also prescribed Prazosin. However, it is recommended that a person be checked for cancer prior to being prescribed the medication. The medication is taken by mouth and the patient is given 1-5 mg up to twice daily. Post-traumatic Stress Disorder (PTSD) is a disabling anxiety that affects one in four Americans, as per 2011 Consumer Reports. Traumatic events such as military combat, abuse, violent physical or sexual assaults or accidents can trigger this disabling condition, and nearly 70 percent of people that have PTSD experience sleep difficulties. 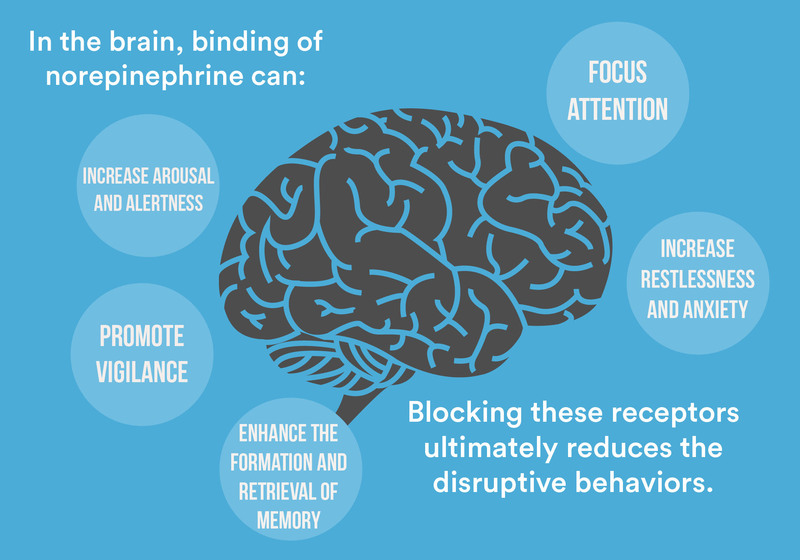 Prazosin is one of the treatment recommendations to alleviate this condition, for Prazosin blocks the body’s release of the hormone adrenaline. Current recommended dosage is 1 mg of Prazosin by mouth at bedtime. Wilbur is a Gulf-War veteran. He has experienced PTSD for the last eighteen years. Wilbur describes experiencing nightmares related to his combat experience. The nightmares would be so bad that they would cause disabling anxiety the following day. He had been prescribed Restoril to help him sleep, and Valium and Xanax for anxiety, but these medications had no effect on the PTSD-related nightmares. Wilbur remembers discussing other possible options with his doctors, and he was skeptical when he heard about Prazosin. Now he has been using the medication for the past two years at bedtime. Wilbur is very pleased with the performance of the medication and finds it has a positive effect on the nightmares caused by PTSD. Raynaud’s’ Phenomenon is a disorder that affects the blood vessels of fingers and toes. It causes the blood vessels to narrow when the person is cold or feeling stress, a known “fight or flight” response. People of all ages can have this disorder, and according to the National Institute of Arthritis and Musculoskeletal and Skin Diseases, it can run in families as well. This disorder is most common in women and people living in cold places. Prazosin may be prescribed for these individuals at 1-5 mg by mouth every 12 hours. George’s story is interesting: prior to taking Prazosin for nightmares, he had a bad case of Raynaud’s syndrome. Once he started taking the medication for the nightmares, he also noticed an improvement in his fingers and toes with the Raynaud’s. He has been taking Prazosin for 5 years and has not had any issues with Raynaud’s. He did however build up a tolerance for the medication and had to be put on a different medication for the nightmares. Alzheimer’s disease (AD), the most common form of dementia, is a progressive disease that takes away mental function, memory and the ability to perform daily tasks and care for oneself over time. Though there is no cure for AD, there are some medications that temporarily improve the symptoms that are associated with Alzheimer’s, helping a person with dementia maintain their independence for a longer period of time. As Alzheimer’s disease progresses, individuals often experience agitation and aggression that can be difficult for individuals and their families to manage. This is also the reason why many people suffering with Alzheimer’s disease often end up in long term care facilities. In Alzheimer’s disease, the brain experiences serious shrinkage secondary to the buildup of plaques and tangles in the brain. Plaques are clumps of protein also known as beta-amyloids, and they destroy brain cells by blocking cell to cell communication. Tangles occur when tau proteins, normally in the brain, twist into abnormal shapes. Tau proteins are the brain’s transport system and require normal shape and structure in order to work properly. Prazosin has shown promise in helping those experiencing Alzheimer’s-related aggressive agitation. 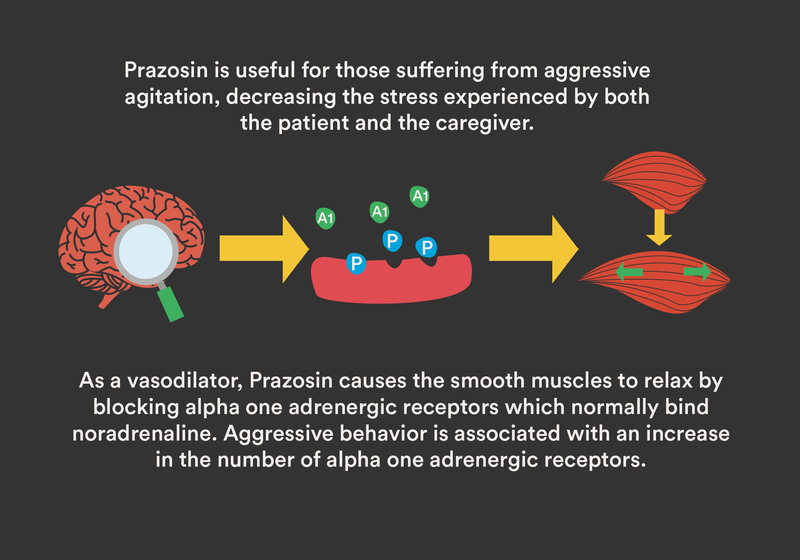 Prazosin is a vasodilator and causes the smooth muscles to relax by blocking alpha one adrenergic receptors. This is important because in Alzheimer’s, the alpha one adrenergic receptors degenerate, which can lead to changes in arousal, mood and memory. The use of Prazosin for agitation secondary to Alzheimer’s has shown promise and is still being tested by the Alzheimer’s Disease Cooperative Study, with funding from the National Institutes of Health. The University of Washington conducted a study of Prazosin in 22 people with Alzheimer’s-related aggressive agitation. The control group was given 6 mg per day of Prazosin over eight weeks. The control group and the placebo group were evaluated on global impression of change and the neuropsychiatric inventory (NPI), and Prazosin outperformed the placebo in the study. Take the medication at the same time everyday. It is recommended that the initial dose of Prazosin be taken at bedtime. 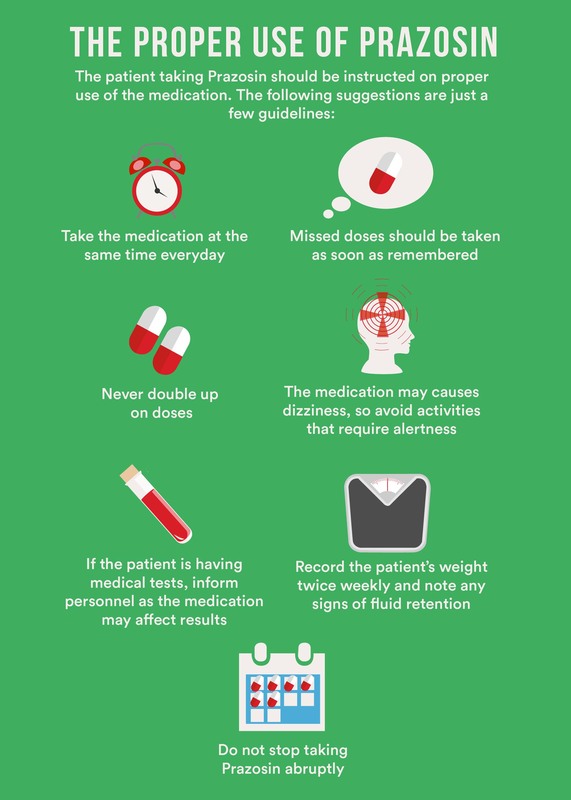 Take any missed dose as soon as remembered. Never double up on doses. Record the patient’s weight twice weekly and note any signs of fluid retention (swelling in the feet, legs, or hands). Keep scheduled appointments, and blood pressure should be checked regularly to determine the patient’s response to the medication. If the patient is having laboratory tests, inform the personnel because this medication may affect drug-related results. The medication may cause dizziness -avoid activities that require alertness (driving, operating heavy machinery, etc.). Avoid sudden changes in position, for it may cause dizziness due a drop in blood pressure. Avoid hot showers and standing for long periods of time, for this may cause dizziness. Avoid exercising in hot weather and avoid central nervous system depressants like alcohol, for these may cause the blood pressure to drop and could lead to dizziness or drowsiness. Inform your healthcare provider if you are taking any over the counter or herbal medications, for these may interact with Prazosin (it is a good idea to take the bottles to your appointments). Consult with your healthcare provider before taking any over the counter cold or allergy remedies. Keep Prazosin in a container that it came in tightly closed, at room temperature, and away from excess moisture and heat. Continue taking this medication even if you start feeling better. Please comply with any extra interventions suggested by your healthcare provider, such as weight reduction, low-sodium diet, regular exercise, stress management, smoking cessation, etc. Do not stop taking Prazosin abruptly, without consulting your healthcare provider. Some conditions could get worse, and the medication may need to be gradually reduced. These medications can have an increased hypotensive effect and cause the person’s blood pressure to drop dangerously low, or they can cause the medication to be ineffective. It is important that the patient’s healthcare provider is aware of all of the meds that are being taken. Older patients (May cause significant hypotension and or syncope – will require a lower dose if indicated, and can increase the likelihood of a fall). If too much Prazosin is taken, seek emergency medical attention right away. Symptoms of overdose include feeling drowsy or faint. If you are unsure, contact Poison Control at 1-800-222-1222. Take the bottle to the hospital so that healthcare personnel will know when the medication was last filled, how many pills are in the bottle and where the medication was filled. This is important information for healthcare personnel when trying to determine if an overdose has occurred accidentally or on purpose. Prazosin is a medication that has many uses. It was originally used to treat hypertension, but over the years, it was found to be useful in treating several other conditions. Prazosin has improved the lives of people suffering from hypertension, nightmares and daytime mental disturbances that may relate to post-traumatic stress disorder, Raynaud’s phenomenon, and benign prostatic hypertrophy (BPH). Prazosin has also shown promise in the treatment of aggression and agitation in individuals with Alzheimer’s disease. 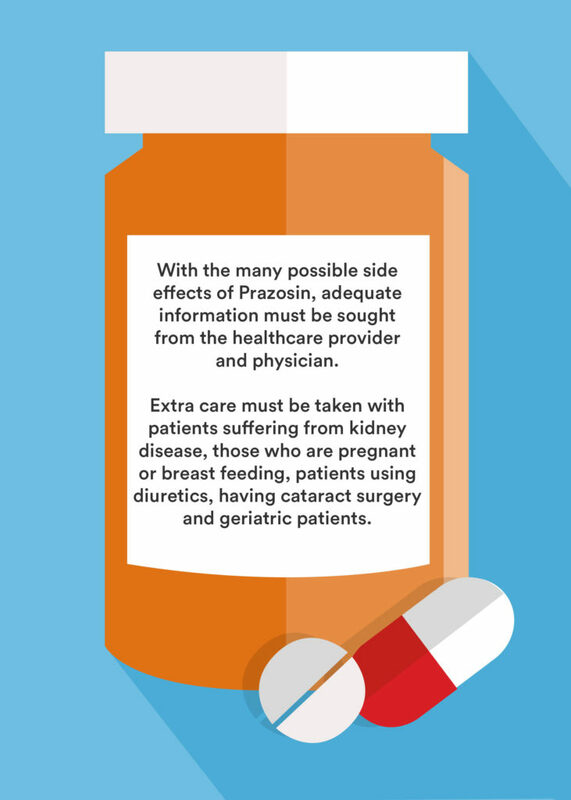 There are certain people that should avoid using the medication; these include those with kidney disease, the elderly, and people having surgery (particularly eye surgery). It is best to work closely with a healthcare provider to determine if the benefits of using the medication outweigh the costs. 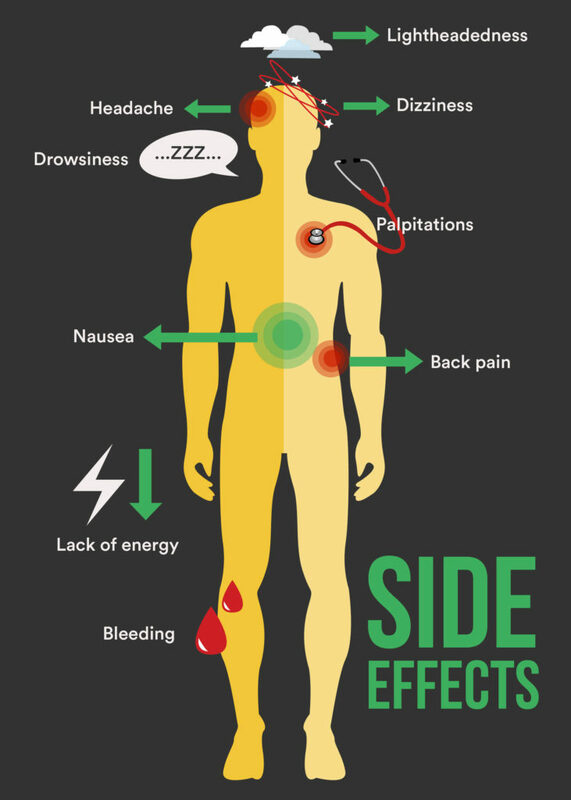 Even though not every person experiences side effects, it is best to be familiar with potential side effects and know when to contact your health provider.